For those of you interessed in that matter, i found an interresting page on Wikipedia about Fender Japan. It saids all about the now famous MIJ and CIJ. The difference in quality between the MIJ and CIJ is not a myth, here are why. The quote: When Fender Japan first started around 1981/1982 the manufacturing contract was going to go to Tokai but Fender made a last minute change and chose Fujigen instead. Tokai do have the manufacturing contract now (2007). FujiGen made a lot of the classic Japanese Ibanez's and so did Terada. Tokai is a musical instrument manufacturer with their own brand of guitars but they also make guitars for other companies. FujiGen usually make solid body guitars and Terada usually make Semi Acoustics and Acoustics. FujiGen made all the early Fender Japan solid body models and Terada made the Japanese Gretsch's and still do. Tokai took over making Fender Japan solid body models from FujiGen in 1997 and make the current Fender Japan solid body models but do not export them. Dyna also make some current Fender Japan solid body models and export some of them. Dyna also make some of the current Gretsch models. Japanese Gretsch serial number prefixes JD=Dyna Gakki, JT=Terada, JF=FujiGen. The difference between the 'Made in Japan' MIJ and the 'Crafted in Japan' CIJ models is to do with who was involved with the manufacturing of the guitars. According to a Fender representative it was in the Fender Japan contract that if there was any manufacturer change involving any part of the guitar then the logo would be changed from MIJ to CIJ. So if the manufacturer changed or the manufacturer outsourced some of the making then the logo would be CIJ. Some CIJ Fenders turn up around 1993 and this seems to be because FujiGen was expanding their factory to be able to handle additional contracts (such as the Orville by Gibson contract) and around 1993 outsourced some of the making to other Japanese companies for a while, resulting in a CIJ logo instead of a MIJ logo. CIJ is mostly used on Fenders from 1997 until recently because Tokai and Dyna took over the Fender Japan manufacturing contract from FujiGen resulting in a CIJ logo instead of a MIJ logo. 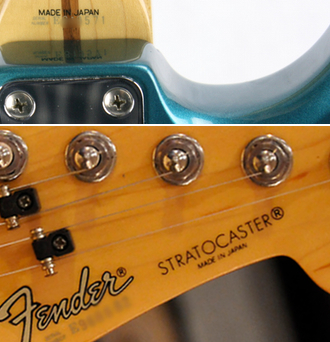 A timeline of Fender Japan 1982: Fender Japan starts production with FujiGen Gakki having the manufacturing contract. The 'Made in Japan' (MIJ) logo is used. 1984: CBS sells Fender to its current owners and while waiting for a new USA factory to begin production, Fender Japan models and leftover USA stock were mostly sold in the USA for a few years. 1993: The first 'Crafted in Japan' (CIJ) models start appearing for a while due to FujiGen outsourcing some of the manufacturing while it was restructuring. 1997: 'Crafted in Japan' (CIJ) is used instead of 'Made in Japan' (MIJ) because Tokai (and Dyna Gakki) take over the manufacturing contract from FujiGen Gakki. That is interesting certainly. However, I don't necessarily see quality being an issue there. We know that both FujiGen and Tokai are both more than capable of making very high quality guitars. Unless Tokai were briefed to fulfil Fender orders to a lower standard, or vice versa, I don't see why it follows from the change in manufacturer that there was a change in quality. I must confess that the outsourcing is the only thing that takes the edge off my MIJ guitar, it says Fender on it but really it isn't, it could really have any number of decals on the headstock, it just happens to have a Fender one because of a licensing agreement. Only really marketed by Fender rather than made by them. Still, it plays, looks, and sounds like a Fender. That's not being snobby or anything, it is just if you buy a Mexican Fender, say, you're getting a guitar made by Fender employees in a Fender factory, with the Japanese ones you're not. Ah yes.the Adachi interview. So probably that info comes from the Tokai site where it gets regularly referenced to. Isn`t anybody allowed to write stuff on Wikipedia? I mean, whats written in the first post of this thread can be added to the numerous other threads on the subject on many sites but it still doesn`t really prove anything does it? So.it may be true or it may not be.nobody seems to know for sure. Is the writer saying the CIJ is better than the MIJ or vice versa? My experience based on the guitars I`ve seen and own over here.and I am not able to include all FJs because I haven`t seen em all yet.is that the quality is not so much whether a guitar is MIC or CIJ but how high up in the pecking order a particular guitar is.the low end stuff was/is priced that way for a reason and the high end models can be outstanding. Same thing applies to the E serial numbers which seem to have evolved into something mystical.some are great some ain`t.and there are other serials from the 80s that are just as impressive as the Es but get little or no attention. And the new high end CIJ DiMarzio series are top notch guitars with US electronics, lacquer finishes and 2 piece bodies made from very nice ash or alder, so generalizing about MIJs/CIJs doesn`t carry any weight with me, it really comes down to models and even then as we all know you can play several guitars of the same model and some will sound better than others.mysterious ain`t it? .Old post here I know, but got me wondering about my (brand new, brown burts colour) Richie Kotzen Japan Fender, which is a 'JD' serial number (seemingly then its a Gyna Gakki made Fender) but I can't really work out what year it was made as its an old Kotzen colour (his new Tele is all black).anyone know? BTW sneakyjapan it is a top notch guitar - although it says 'Made In Japan' (MIJ) - its a 2 piece swamp ash body (very heavy) thick fat neck and Jumbo frets with DiMarzio Chopper T and Twang King PUs, and the tone knob is a phase switch instead (series parrallel switch which operates in the middle position only). It gives it some grunt but can get a bit muddy/breaks up, but I've found I can overcome it with my Boss Compressor pedal very nicely! Click to expand.You didn't address any 'quality' difference. We don't even know that there is one based on anything you said. All we know is that they were made by different factories. Now, FujiGen makes a darned nice guitar, but who is to say that Tokai makes them any better or worse? So, there is a difference for sure; we already knew that. But is there truly a quality difference? I've never played a bad MIJ or CIJ Fender. I own both, and I've played scores upon scores of both types over the years. Without looking at the decal, I wouldn't be able to tell the difference between the two. Congrats R&B!! Glad they finally were able to work a deal with you! You might want to check with WD Music Products on a replacement pick guard. If they don't already have the MIJ versions on file, you can always do a custom order like I did with my JB62SS and send them the original and they will make a new one in any color you can imagine. I find their PGs to be of better quality than the OEM in many cases. If you ever do a custom, make sure you inform them that you do not want those extra holes reproduced. Cover them over with tape or something so Virgil knows not to drill those extra holes. As for these JB62s. I am simply loving my JB62-US! Download Black Butler Episode 1 Subtitle Indonesia. This thing is an amazing bass. Especially for what I paid for it. Would put it right up there with any of my American Fenders, and in many respects I think it still sounds better. More vintage sounding to my ear, and soon I will be able to compare that difference. On a slightly off topic note. I just made a deal on a 1976 Fender Black Jazz Bass with white PG, a maple neck/fretboard, with MOP block inlays! Been thinking about trying to find another one identical to my original 76 that I foolishly sold back in 84 and I finally found one at a good price. This bass comes with all the chrome guard hardware the original Fender HSC and according to the music store I bought it from, is 8.9 pounds, Alder body and plays like lightning! I am wondering if this may even be my old bass! I have been digging through ancient paperwork looking for my original receipt for my original 76 with the serial number, but so far no luck. Wouldn't that be awesome if this is my original? The odds are huge, but you never know. Will post a new thread for that sometime next week. Congrats R&B!! Glad they finally were able to work a deal with you! You might want to check with WD Music Products on a replacement pick guard. If they don't already have the MIJ versions on file, you can always do a custom order like I did with my JB62SS and send them the original and they will make a new one in any color you can imagine. I find their PGs to be of better quality than the OEM in many cases. If you ever do a custom, make sure you inform them that you do not want those extra holes reproduced. Cover them over with tape or something so Virgil knows not to drill those extra holes. As for these JB62s. I am simply loving my JB62-US! This thing is an amazing bass. Especially for what I paid for it. Would put it right up there with any of my American Fenders, and in many respects I think it still sounds better. More vintage sounding to my ear, and soon I will be able to compare that difference. On a slightly off topic note. I just made a deal on a 1976 Fender Black Jazz Bass with white PG, a maple neck/fretboard, with MOP block inlays! Been thinking about trying to find another one identical to my original 76 that I foolishly sold back in 84 and I finally found one at a good price. This bass comes with all the chrome guard hardware the original Fender HSC and according to the music store I bought it from, is 8.9 pounds, Alder body and plays like lightning! I am wondering if this may even be my old bass! GSA Image Analyser 3.6.0 here. I have been digging through ancient paperwork looking for my original receipt for my original 76 with the serial number, but so far no luck. Wouldn't that be awesome if this is my original? The odds are huge, but you never know. Will post a new thread for that sometime next week. I just made a deal on a 1976 Fender Black Jazz Bass with white PG, a maple neck/fretboard, with MOP block inlays! Been thinking about trying to find another one identical to my original 76 that I foolishly sold back in 84 and I finally found one at a good price. This bass comes with all the chrome guard hardware the original Fender HSC and according to the music store I bought it from, is 8.9 pounds, Alder body and plays like lightning! I am wondering if this may even be my old bass! I have been digging through ancient paperwork looking for my original receipt for my original 76 with the serial number, but so far no luck. Wouldn't that be awesome if this is my original? The odds are huge, but you never know. Will post a new thread for that sometime next week. Its one of the hot rod red jaguar basses which has me thinking somewhere between 2006-2010. Serial number starts with T012 but I don't think it's one of the deluxe jag models from 2012 though because the frets are definitely vintage sized. Maybe these were made until then as well. I just traded for it around a week ago for a guitar I wasn't using. Initially the other person may have gotten a slightly better deal in the trade but I knew from what I read a little elbow grease could make this bass could be a sleeper in the long run. I have already copper tape shielded the cavities (which was a huge help in bringing the noise down) and lowered the pickup/active/series switches. I've also got some new knobs on the way which i'm hoping to get in today and some gotoh resolites to help with the neck dive (might end up on my roadworn p though). Finish wise its got plenty of buckle rash on the back and many pick divots on the forearm area. It's got a look to it that reads I was definitely played but isn't to that roadworn level of relic. I'll get photos up once I get all the hardware in and on. Click to expand.I can attest to that! 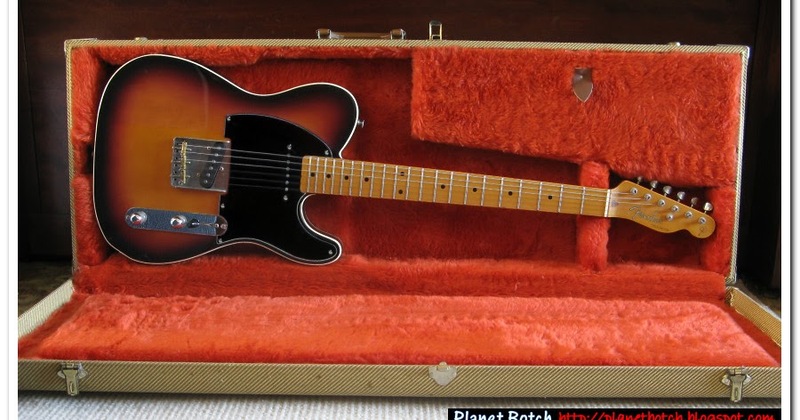 My MIJ JB62 has a 'T' serial number, which put it either between '94 to '95 OR somewhere in the '07 to '10 ballpark. I used the old Fender Japan website snapshots from Archive.org to sift through the years and zero-in on which year mine came from. However, my particular search was made a bit easier due to it being a rather unique-lookin', limited edition bass. Basically, you may need to play 'detective' if you go this route. I hope this helps, even just a little bit. I picked up a nice little postal scale from Amazon today in order to weigh all the guitars in my collection. This little guy had really good reviews and was dirt cheap! (20 bucks and some change - Link provided below) Just weighed my JB62-US and it turns out to weigh 9 pounds 4.6 ounces. About what I was guessing based on how it feels when picked up. I knew it was definitely under 10 pounds which is what my American Deluxe Jazz weighs on the nose. Here is a link to the scale I am using in case any other collectors are in need of something more accurate than the bathroom scale technique. This model has both TARE and HOLD features, so you can put the bass on the scale after laying a towel down on the scale platform, and with the HOLD feature, the reading will stay displayed after you remove the guitar from the scale. This one also has a MAX weight capacity of 86 LBs. Definitely impressive for something so inexpensive!